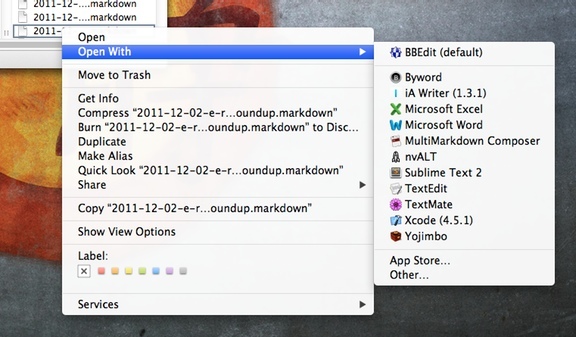 If you use the Open With… contextual menu on OS X (right-click on a file in Finder), you may find a lot of applications get duplicated or are just plain wrong. This is how you reset this menu. Make sure the whole thing is on a single line and wait for it to finish. 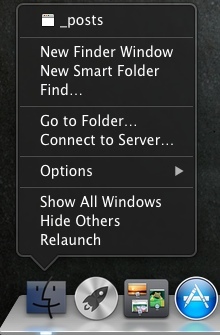 Click on Relaunch to restart the Finder. 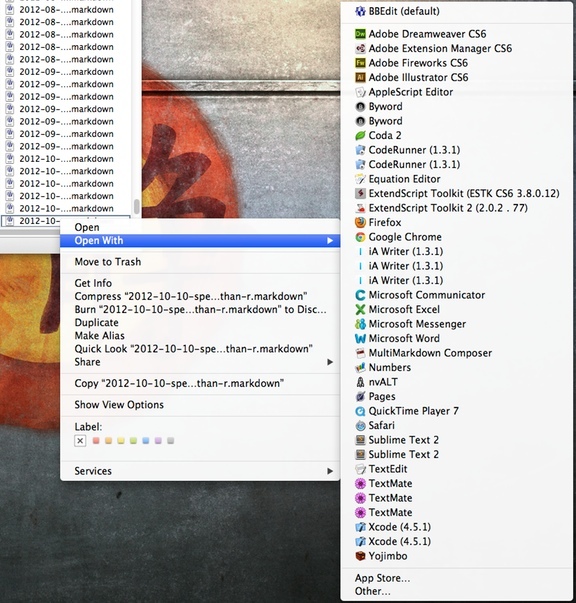 Note: Tested only on Mountain Lion, should work on older versions.